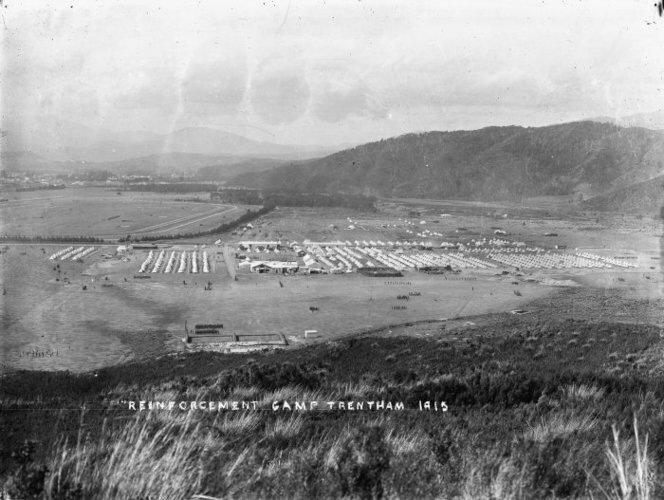 I was recently contacted by John Pickering, graveyard manager of St Mary’s Cathedral in New Plymouth (Taranaki, New Zealand). 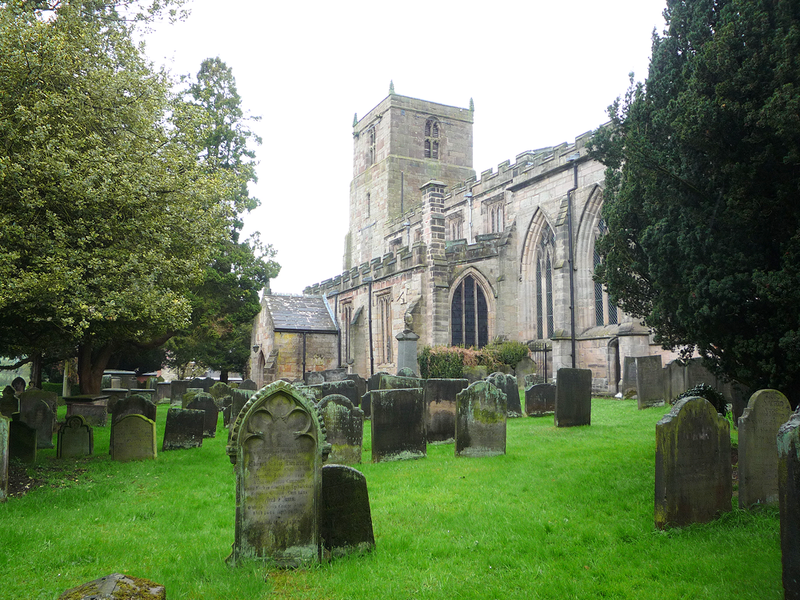 He is spearheading a project to repair all the old gravestones in the churchyard, and is trying to contact descendants of those buried, to help fund the repairs. Council funds are being applied for where there are no known descendants. My great great great grandparents George Tunnecliff(e) and his wife Elizabeth Barber are buried in Grave 56 in the churchyard, and their gravestone is one of a number that require some TLC. In loving memory of George Tunnecliff died 13 February 1912 aged 80 years also Elizabeth Tunnecliff died 24 February 1916 aged 86 . At rest. John has written to a couple of descendants so far and outlined the work that is needed to repair the grave, and the costs involved. The concrete top is broken and the north side wall has fallen away, and the headstone itself requires a professional clean and application of lichen inhibitor. Because the churchyard has been designated a Category 1 historical site, only registered memorial masons can carry out the repairs. All told, the concrete repair work and the headstone cleaning for George & Elizabeth’s grave will amount to around $600. Descendants are being asked to contribute towards the cost, and obviously the more of us that can chip in, the better! So, are you connected to the family? Would you like to help? There are several ways to donate a few dollars, but to make it easier, I’ve set up a GiveALittle fundraising page and donations go straight to the The Taranaki Cathedral Church of St Mary for the restoration of Grave 56. I hope to share more about George and Elizabeth, their lives in England and New Zealand, as well as their children and grandchildren. 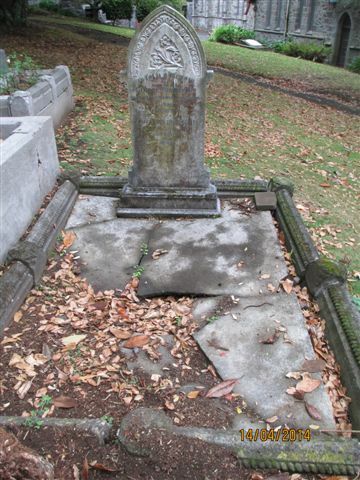 Further reading: Isobel Ewing, New Plymouth Graves Need Work, Taranaki Daily News online, 20 May 2013. It’s fascinating where surnames originated and how they evolved. In April I posted about my 3 x great grandfather, George Tunnecliff. 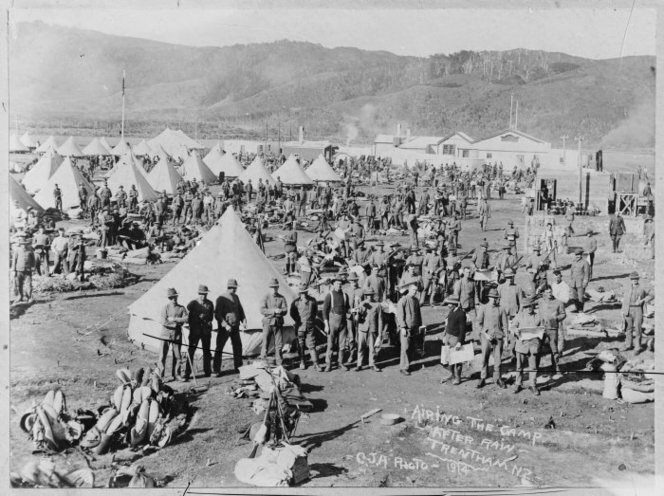 Or was it Tunnecliffe? With an ‘e’, or without? What was the “correct” surname? My last lot of assignments for IHGS were all centred around surnames, and since we could pick a couple of our own family names to look at, I chose Tunnecliffe as one of them. Tunnecliffe is actually a variant of the more common TUNNICLIFF(E). Reaney1, Titford2 and Hanks & Hodges3 agree that it is a habitational surname, taken from Tonacliffe in Lancashire, which was recorded in 1246 in the Lancaster Assizes as “Tunwal(e)clif”, from OE tun enclosure, settlement + wœll(a) spring, stream, + clif bank, slope, so ‘enclosure on the banks of a stream’. Both Reaney and Hanks & Hodges give the variants of TUNNICLIFFE as: TUNNICLIFF, DUNNICLIFF, DUNNICLIFFE. The interchanging of T and D is not unusual in surnames, so the variants are not unexpected. Interestingly, there appear to be no variants of the name where the -CLIFF(E) suffix has developed into a -LEY ending, as has happened to a number of other surnames. As with many other habitational names, the surname has become more common where an inhabitant from that place has moved or travelled away from his immediate area, which helps explain why the surname is more prevalent in a neighbouring county, rather than in the county where the place is actually located. 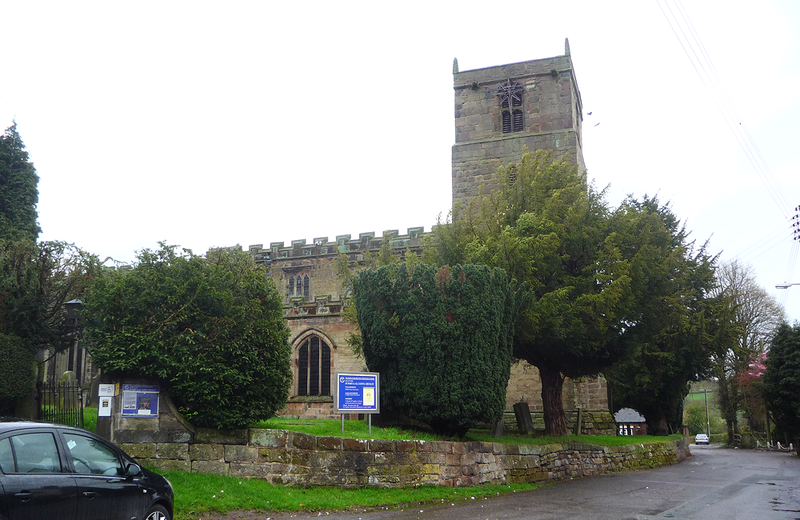 Titford noted the name is mostly found now in Staffordshire, where I have traced back my family back to a Robert TUNNICLIFFE, whose son Edward was buried in 1821 at St Michael’s Rocester with the surname TUNNECLIFF inscribed on his gravestone. This variant spelling continued with all of Edward’s descendants researched so far, though in modern usage an E was usually tacked on to the end. For our assignment, we were asked to look at death registrations in England & Wales from July 1837 to December 1851 and plot the surname’s distribution. When searching FreeBMD, I wanted to look for all instances of TUNNICLIFF(E) and DUNNICLIFF(E), including any variant and deviant spellings. To cover as many alternate spellings as possible within the confines of FreeBMD’s limits, I used the search strings: tu*n*cl*f* and du*n*cl*f. I also searched using different first vowels to pick up any stray entries, and found only one (TENNECLIFF). The variants and deviants found are listed in the table below. The dominant variants are clear to see, although it is obvious that the DUNNICLIFF(E) variant is far less common than TUNNICLIFF(E). So where are all these Tunnicliffes and Dunnicliffes? 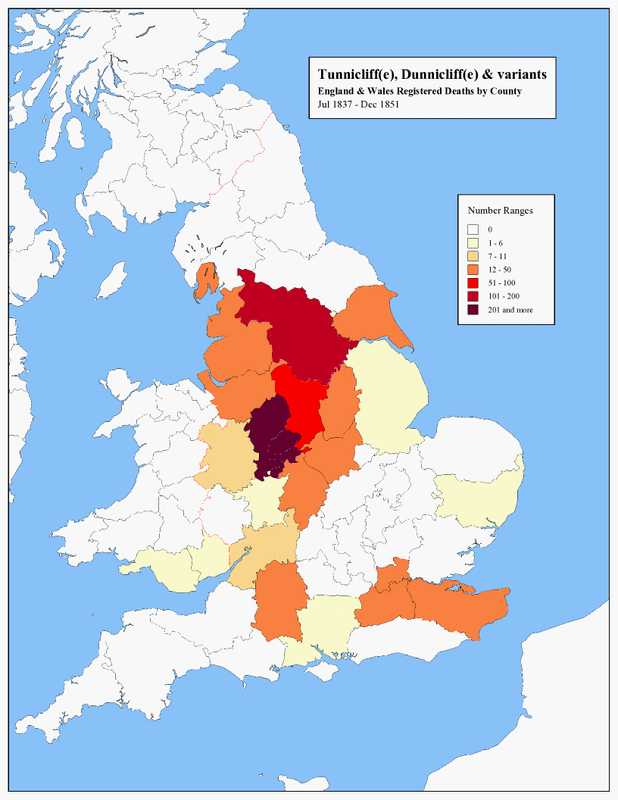 From the death registration data, I mapped their distribution across England and Wales: As to be expected, the surname is mostly found in Staffordshire, and surrounding counties. Internal migration for work may have resulted in the instances found further south. Indeed, most of those counties are connected to the coast, which could suggest maritime or trading occupations. I also wanted to look at whether there was a regional difference in the distribution of TUNNICLIFF(E) compared to DUNNICLIFF(E). Was there one point of origin for this variant, and would it be apparent from mid-19th century records? The Dunnicliff(e) variant was more concentrated in Derbyshire and Leicestershire. Perhaps this was where the variant originated? However, it does appear in the South East as well, perhaps from an earlier migration of a TUNNICLIFFE family where the spelling changed, or a DUNNICLIFFE family moving recently south. 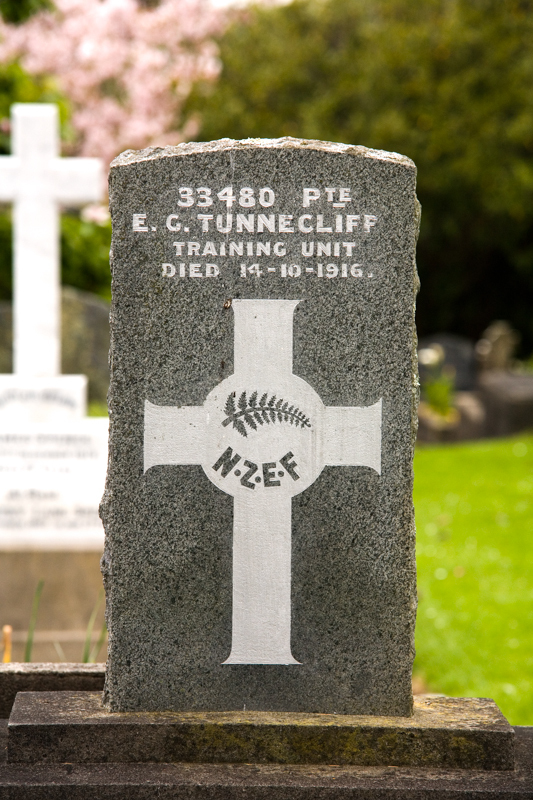 Edward Tunnecliff’s great grandson George emigrated to New Zealand in 1857 and brought with him the TUNNECLIFF(E) variant, which has now unfortunately died out there. It currently only found in very small numbers in the United Kingdom and the United States4. Reaney, P.H, A Dictionary of British Surnames, 2nd edition, ed. Wilson, R.M. Routledge and Kegan Paul (London: 1983). Titford, John, Penguin Dictionary of British Surnames, Penguin Group (London: 2009). Hanks, Patrick & Hodges, Flavia, A Dictionary of Surnames, Oxford University Press (Oxford: 2004). Public Profiler, World Family Names Profiler (www.worldnames.publicprofiler.org/ : accessed Sep 2014). 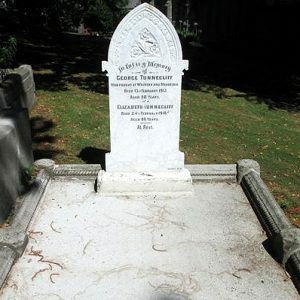 My 3 x great grandparents George and Elizabeth Tunnicliff are buried in Grave 56 of St Mary’s Cathedral churchyard, New Plymouth (Taranaki, New Zealand). In 2014 John Pickering, graveyard manager of St Mary’s, spearheaded a project to repair all the old gravestones in the churchyard. Desecendants, where known, were contacted and asked to help fund the project. 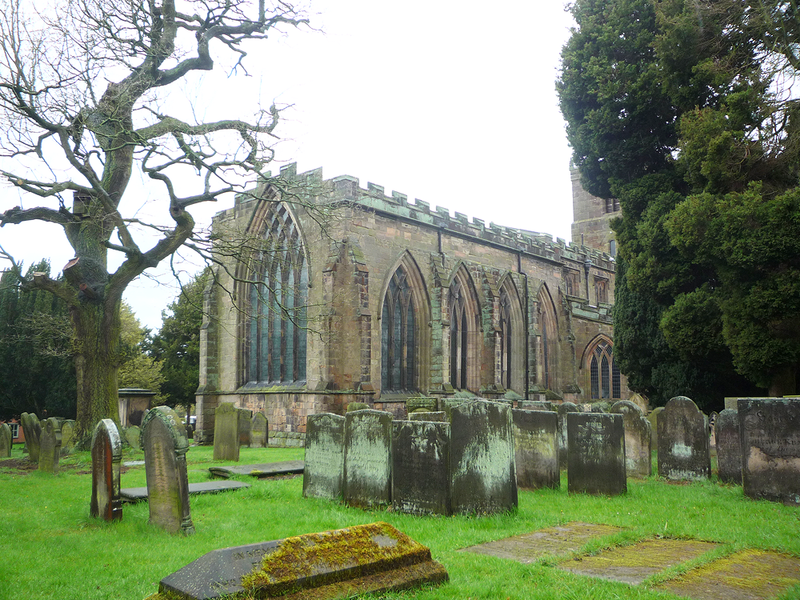 Through an earlier blog post, some money was raised towards the repair of George and Elizabeth’s gravestone, but the majority was funded by donations from local parishioners. The churchyard is a Category 1 historical site, and as such, only registered memorial masons could carry out the repairs. As you can see, a wonderful job has been done! Heartfelt thanks must go to St Mary’s Cathedral and its generous congregation, and especially John Pickering, for looking after our heritage sites. Tara Shasky, “Taranaki Cathedral graveyard clean up complete”, Taranaki Daily News, www.stuff.co.nz/taranaki-daily-news/68290024/taranaki-cathedral-graveyard-clean-up-complete, 6 May 2015.